Advantech has constructed a lightweight device-to-cloud factory machine management system by using WISE-4000 wireless I/O modules, which are compatible with Microsoft Azure Cloud Services. The solution helps traditional small and medium-sized processing factories upgrade their production lines, optimize transparent production management, and increase equipment utilization rates/management efficiency on an affordable budget. By introducing industrial IoT (IIoT) technologies such sensors, network infrastructure, and cloud platforms, the manufacturing industry has been able to achieve equipment connectivity, facility monitoring, and other transparent factory management applications. However, since it can be relatively difficult to lay down new cables in most existing production lines and factory environments, making space for additional monitoring and networking devices can be even more challenging. To small and medium-sized manufacturing plants, if the desire to introduce a factory equipment management system requires the purchase of expensive hardware and software, such a large investment becomes a threshold that most small and medium-sized businesses cannot cross. Furthermore, if system integration and subsequent maintenance management processes are too complex, vendors with limited resources will be even more tentative to take the first step toward improving their current system. 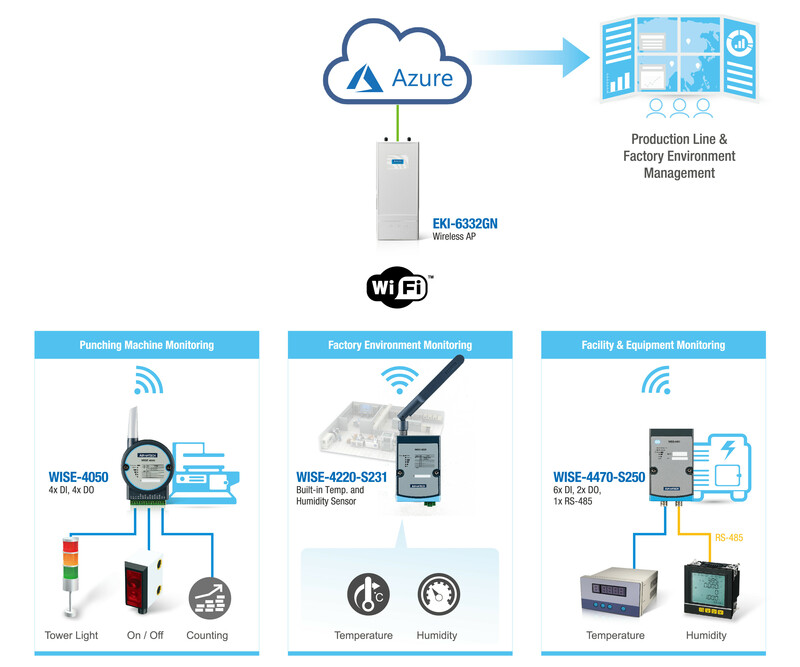 Using WISE-4000 series wireless I/O modules and wireless sensor nodes, Advantech has created a lightweight IoT solution for small and medium-sized factories who wish to incorporate equipment management and facility monitoring systems into their existing operations. The WISE-4000 series offers data collection, data logger, data pre-processing, and IIoT cloud connectivity tools in addition to many other features. Advantages of this system include its compact size and easy installation as well as the fact that data cables and gateways do not need to be set up to achieve cloud platform integration. This not only lowers the complexity associated with the system architecture, but it also solves many problems faced by processing factories hoping to introduce IoT applications, allowing manufacturers to complete their upgrades and transformations more easily. A manufacturer in Japan who specializes in making metal parts for the automotive industry offers services including product design/development, mold manufacturing, stamping, and assembly. Although the company is able to mass-produce premium quality products with its precision machining technologies, they are also actively developing new processing methods for manufacturing various types of components. On the production line, however, their mode of operation still follows the traditional method of reading and writing down data manually. Operators are then required to copy production information that has already written on a piece of paper into a computer system before their shift ends. 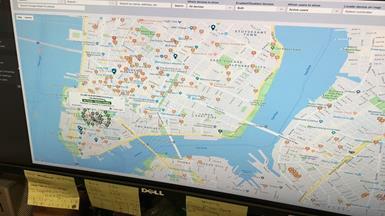 This is not only time-consuming, but it also introduces the possibility of human error. From a managerial perspective, this also means that real-time plant production status information is simply unavailable, and as such the only option is to wait for regular reports from the production line. This makes it virtually impossible to obtain accurate data on the equipment utilization rate or material status. Consequently, management can only arrange work orders based on past experience. Even if they wish to increase production efficiency, it would be difficult to determine where to begin because they do not have access to accurate reference data. For these reasons, the metal processing plant decided to enhance the transparency of its factory equipment management by incorporating communication and IoT technologies. In addition to being able to obtain real-time information on key production equipment, the solution also had to allow for monitoring various a range of equipment inside the factory in real time. After considering the available factory space, system construction costs, and human resources, the company decided on a solution that uses wireless transmission to collect data. Furthermore, to accelerate the introduction process and save on the initial costs of developing its own cloud system, the company also decided to adopt Microsoft's Azure public cloud platform. Finally, the solution had to be scalable so that system functions can be easily adjusted or expanded in the future. Most on-site equipment was either stamping machines without PLCs or closed systems without open communication ports. Based on the varying condition of the equipment, multiple IoT wireless I/O modules were adopted from Advantech’s WISE-4000 series and EKI-6332GN Wi-Fi access points to meet the demands of the metal processing plant, which were to network the production equipment and enable monitoring of the equipment and overall facility. 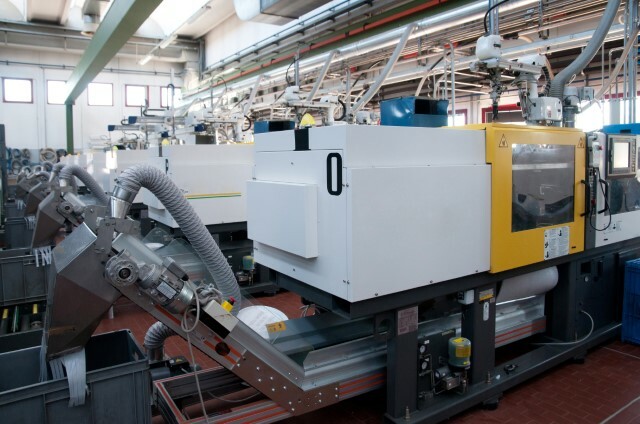 With respect to establishing connectivity with the production equipment, the client’s requirement was to be able to collect statistics on the number of presses performed by 130 stamping machines. Each stamping machine was thus equipped with a WISE-4050 Wi-Fi IoT wireless I/O module to achieve non-invasive, comprehensive equipment status data collection. The WISE-4050 modules first place a timestamp on the data collected from each machine and then perform a series of processes including data encryption, format conversion, and cloud authentication. Data are then uploaded to the Azure IoT Hub via HTTPS, where equipment operation status information is analyzed or visualization tools such as Power BI are used to present the data as customized reports as per client requests. Through this type of factory information transparency, management personnel will be able to manage all types of information through the Azure cloud platform, such as the number of presses performed by individual stamping machines, the time required to process each workpiece, and machine startup/shutdown times. Production work orders could also be arranged by using transparent production processes to increase the utilization rate of equipment and stabilize the line balance rate. Because of pre-integration, WISE-4000 series wireless I/O modules can directly support Microsoft’s Azure IoT Hub. Within a system such as this, it is not necessary to have a computer act as the gateway or write a data conversion program. Both the overall complexity associated with the system’s architecture and the hardware costs are reduced significantly. In terms of the time-stamped data logger and break-point resume functions, even when the network connection is unstable, data can be temporarily saved locally in the module first. Once the network connection recovers, data can then be uploaded to the cloud to ensure data integrity and accuracy. Although the metal processing plant’s requirement is to send data every second, stamping machines can be idle during non-production hours. Therefore, by modifying the data upload settings in the WISE-4000 module, data can be transmitted only when the machines’ status changes, thereby conserving network bandwidth. In addition, if the network bandwidth is becoming insufficient due to large amounts of data being collected, the settings can be modified via the web interface so that the time-stamped data can temporarily be stored inside the module. Then, once the criterion for data accumulation has been met, everything will be uploaded together. Achieving transparent smart factory management should benefit more than just large manufacturers. The production lines of traditional small and medium-sized factories can also be upgraded to smart facilities by using lightweight IoT system architectures. In such systems, external devices capable of automatic data collection can used to replace the traditional method of reading and recording data manually, allowing operators to gain a full understanding the operating status of individual equipment inside the factory. By using Advantech's cloud IIoT solution, which offers wireless network transmission and savings in hardware construction costs, the customer was able to achieve complete control over their production status and improve their operational efficiency. The metal processing plant’s stamping machine utilization rate for the month when Advantech’s solution was introduced exhibited a 26% increase compared to the previous year. In addition to the increased production capacity, the system also gave management personnel precise control over the factory’s production status. This allowed the customer to optimize production and establish order acceptance policies, thus ensuring that products are delivered on schedule to improve customer satisfaction. This case study is a perfect example demonstrating that even small and medium-sized factories can cross the threshold to transform themselves into smart production facilities. 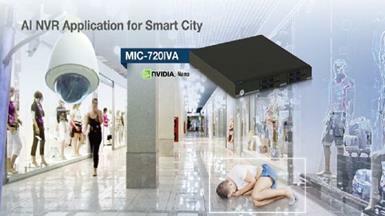 Advantech's new generation of remote I/O devices bring an IT oriented spirit to the market. With the advanced concepts of data A-P-P, data Acquisition, data Processing to data Publishing, fulfilling mobile monitoring and controlling needs under an IoT framework. Broad adoptability has made WISE a reliable source of big data which benefits users in identifying their next steps and which action to take. With intelligent processing and publishing features, the time it takes to generate insightful reports can be shortened. Thus users can quickly notice and identify possible issues and system downtime can be minimized or even avoided. The WISE-4050, an IoT wireless I/O module with 4-channel digital input and 4-channel digital output, has an integrated Wi-Fi interface wuth AP mode and web configuration which can be accessed by mobile device directly. Data can be logged in the I/O module and then automatically pushed to the file-based cloud. The Advantech WISE IoT Developer Kit is a complete hardware & software solution to help users develop IoT applications and simulate their projects in the simplest way. The WISE IoT Developer Kit provides everything you need to get going: a WISE-4012E 6-ch universal input or output wireless Ethernet I/O module, and developer kit including: WebAccess 8.0 with open interfaces for intelligent application developer, extension board for simulating sensor status, a micro USB cable for power input, and a screwdriver for wiring. 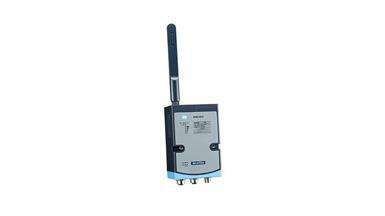 The WISE-4012E has an integrated Wi-Fi interface with AP mode and web configuration which can be accessed by mobile device directly. Data can be logged in the I/O module and then automatically pushed to the file-based cloud.